Expression number 3 means that your life is closely connected with creativity and artistic expression. Number 3 implies developed power of will, ability to self-analysis and acceptance of criticism. You need to be ready to be on stage and provide positive emotions for your audience. People with this number are so energetic that why are we still searching for the source of eternal energy, when we have threes. The main role for you to play in your life is to inspire people around, to make small things that mean a lot, or to influence from the large stage to the audience. People with Expression number 3 can make brilliant artists, actors, musicians, teachers, singers, and dancers. 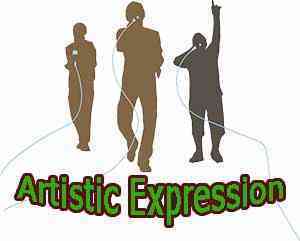 No matter what profession you choose to live by, you will always be interested in artistic expression. The creativity of your mind can be manifested in professions connected with analyzing of needs and desires of people. Marketing and promotion are spheres friendly to you. With your charm you can make a person buy or pay attention to any product or company of your interest. Develop these skills, and you'll see how drastically your life can change. It is a pleasure to hear you talking about sphere of your interest, because you automatically make it so attractive that people around can hardly pass by. Due to your level of energy and wit of mind you can support many topics and make reasonable statements if it comes to arguing. Inspiration for you is a key to everything. When you are inspired you are motivated to act, and it always brings you profit. Keep closer to your friends. Despite your character and talkativeness you don't have many true friends, so if you have that one friend it is valuable. Also, learn to be a friend in return. Through years, when your mission is understandable for you, you will become more social and open. The only essential shortcoming of this number is inability to concentrate on one thing for a long time, so all the efforts you've done before are in vain when you quit it.